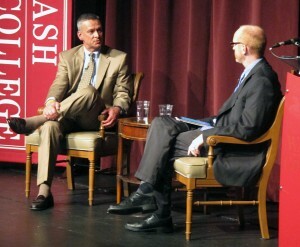 Superintendent of Public Instruction Tony Bennett takes questions from Indianapolis Star reporter Matt Tully during a candidate forum Oct. 24, 2012, at Wabash College in Crawfordsville, Ind. 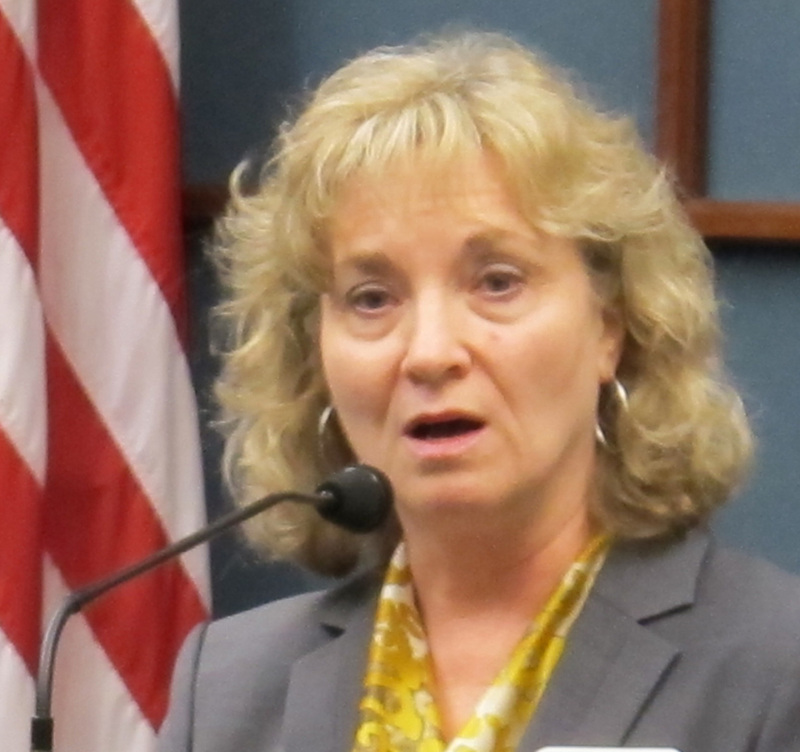 His challenger, Glenda Ritz, also participated in the forum. State Superintendent Tony Bennett says when he went to college in the 1980s, most of his classmates expected to teach for 33 years and retire. But he says his own career didn’t follow that trajectory and neither will the next generation of teachers. “Young people leave college and have an incredible turnover of jobs in their first six or seven years. I think it’s somewhat short-sighted to think that won’t also happen in education,” Bennett said during a debate in Fort Wayne Friday night. 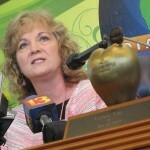 But Glenda Ritz, the teacher from Indianapolis’ Washington Township who is running against him, fired back that she doesn’t believe better benefits or retirement incentives will be encourage highly skilled young people to become teachers. “The state of Indiana has frozen salaries, so I don’t know how you’re going to attract teachers from the money aspect,” she said. Should Indiana Elect Its Schools Chief? After Ritz asked what the Department of Education was doing to attract more minority students to the teaching profession, Bennett conceded that he sees more African American young people go into business or industry than education. But he maintained that hiring teachers with diverse backgrounds — including those who didn’t study education — was key. “We need to give opportunities for a young John Gregg or young Mitch Daniels or young Mike Pence to teach government in our schools,” said Bennett. 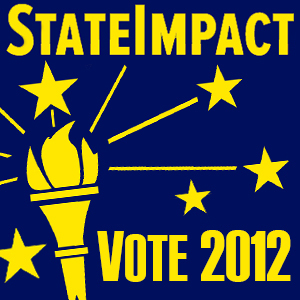 The question of who should be qualified to teach in Indiana is just one of many the two candidates answered during the hourlong debate, which The Mike Downs Center for Indiana Politics organized and StateImpact‘s Kyle Stokes moderated. Bennett fielded a question about Indiana’s implementation of new academic standards, which are controversial even within his own Republican party. But Bennett stands by Indiana’s decision to adopt the Common Core. 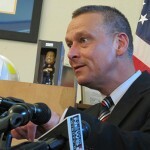 “In a climate, in a society, in an educational culture where we compare our students not just to the kids down the street but to the kids in the next state or the kids in a country far, far away, we should have a set of standards that are internationally benchmarked,” said Bennett, adding that switching to the Common Core PARCC assessments will also save the state money. But Ritz says the new standards have parents and educators concerned because they’re very different than what is being taught now. 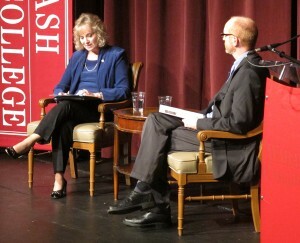 Glenda Ritz reads from her opening statement during a candidate forum at Wabash College in Crawfordsville, Ind., on Oct. 24, 2012. 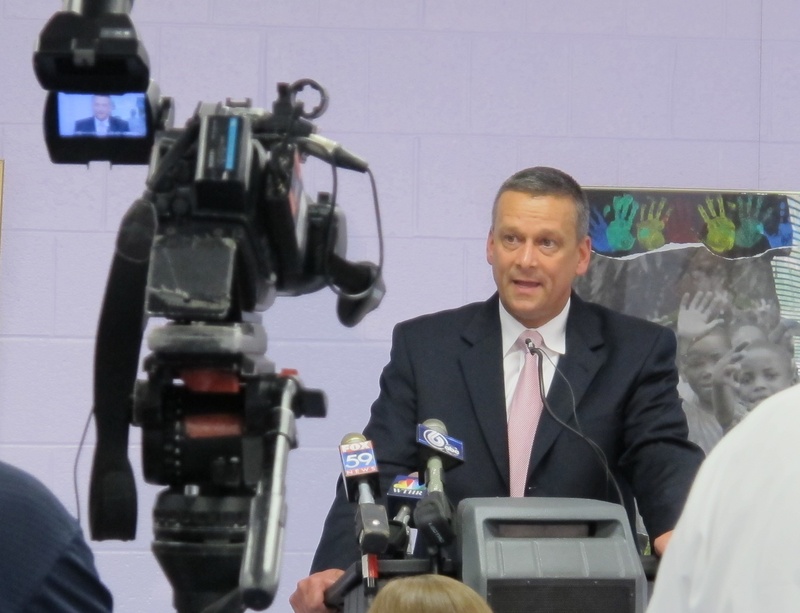 Ritz, a teacher in Indianapolis' Washington Township, is running for state superintendent against incumbent Tony Bennett, who also spoke at the event. “The math standards have an entirely different methodology in teaching some skills,” she said. Ritz also criticized the PARCC assessments, which she says weren’t developed with enough input from teachers. She says the state needs to move away from high stakes testing. Ritz proposed that the money the state saves on testing could be better spent on early education programs and fully funded kindergarten.